Abe, Nobuo, ed. dir. 20th Century Masters from the Milwaukee Art Museum. Translated and edited by Brain Trust Inc. Japan. 20th Century Masters from the Milwaukee Art Museum Catalogue Committee, 1994, pp. 102 and 138, cat. 31, color illus. p. 103. Goldstein, Rosalie, ed. Guide to the Permanent Collection. Milwaukee, Wisconsin: Milwaukee Art Museum, 1986, p. 208, b/w illus. p. 208. Milwaukee Art Center. Personal Selections from the Collection of Mrs. Harry Lynde Bradley. New Orleans: The Bradley Family Foundation, Inc., 1975, color illus. p. 83. Milwaukee Art Center. A Selected Exhibition from the Collection of Mrs. Harry Lynde Bradley. North Dartmouth, Massachusetts: Southeastern Massachusetts University Gallery, 1975, p. 26. Isaac Delgado Museum of Art, Selections from the Collection of Mrs. Harry Lynde Bradley, New Orleans, Louisiana: Isaac Delgado Museum of Art, 1969, cat. 65. Milwaukee Art Center. The Collection of Mrs. Harry Lynde Bradley. Milwaukee, Wisconsin: Milwaukee Art Center, 1968, cat. 2, color illus. p. 7. 20th Century Masters from the Milwaukee Art Museum, Isetan Museum of Art, Tokyo, July 2–August 9, 1994; Matsuzakaya Art Museum, Nagoya, August 11–September 4, 1994; Hokkaido Asahikawa Museum of Art, Asahikawa, September 10–October 16, 1994; Daimaru Museum, Umeda-Osaka, October 19–November 7, 1994; Chiba Sogo Museum of Art, Chiba, November 26-December 29, 1994; Marugame Genichiro-Inokuma Museum of Contemporary Art, Marugame, January 14–February 26, 1995. A Selected Exhibition from the Collection of Mrs. Harry Lynde Bradley, Southeastern Massachusetts University Gallery, North Dartmouth, Massachusetts,February 8–March 3, 1975. Diversity in the 20th Century, Blaffer Art Gallery, University of Houston, Texas, November 6–November 22, 1973. Selections from the Collection of Mrs. Harry Lynde Bradley, Northwood Institute, Dallas, Texas, March 21–April 30,1971. Selections from the Collection of Mrs. Harry Lynde Bradley, The Isaac Delgado Museum of Art, New Orleans, November 7–December 28, 1969; Phoenix Art Museum, January 19–February 15,1970. Bradley Collection, Milwaukee Art Center, February 1–March 4,1962. 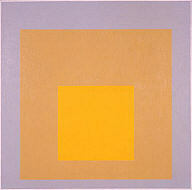 Recent Paintings by Josef Albers, Janis Gallery, October 2–October 28,1961.